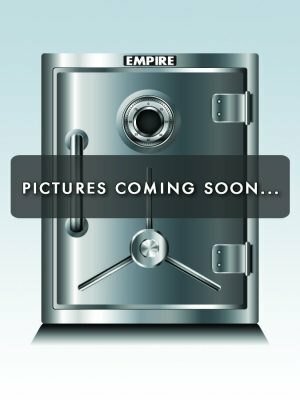 Here at Empire Safe, we are proud to have the deepest selection of heavy duty, certified pre-owned safes in the entire United States. With a range of storage solutions from the standard one lock fire safe for the home all the way up to the largest, high security safes ever manufactured, our inventory of used safes is virtually unmatched. At any given time, we will have upwards of 500 used safes for sale. All shipping and delivery options are available to you. If you are capable of handling heavy equipment and can receive the safe by your own means, we can simply drop ship the safe to you. However, if you are like most people that don’t have the machinery or manpower to handle a heavy safe and, require full in home or in business installation, we have insured and bonded professional safe installers in every state that can place the safe in your desired resting spot. Our safes are sold on a first come first serve basis so if you see the safe that is right for you, your family or, your business, please be sure to contact us so that you can reserve it today! What is our Reconditioning and Refinishing Process? Think of it as a major tune up and certification process that an auto mechanic or car dealership would provide to your car. However, the good thing is that safes are not built like cars. Safes don’t have mileage you have to be concerned with nor do they have nearly as many parts. Our safe technicians begin with a thorough inspection of each pre-owned safe. They examine the safe’s locking mechanism meticulously to ensure the safe’s functionality. If parts need to be replaced, we replace them without hesitation. If the safe is in great condition, we will still be diligent in our inspection to ensure that the safe we ship out will operate well for your lifetime and, the lifetime of whomever you pass the safe onto. Upon completion of the inspections and replacements, our service technicians will lubricate all of the moving parts so that the door will open and close as smooth as clockwork. Once completed, our service technicians pass the safe onto the production team for refinishing. Over the years, clients have requested customizations ranging from soft velvet-lined strong metal shelves, to the entire spectrum of paint finishes, to custom exotic wood drawers, and to leather lined jewelry trays. We are here to assist you every step of the way in creating your own perfect security storage solution.